Those of us who are born again sons of God make up the body of the Church. The Church can be a denomination, Protestant, etc; but denomination or Protestants are not necessarily the Church. Today, many churches stream their sermons online during services on Sunday making it possible for people who cannot attend to see and hear their pastor speak. Bible studies are being conducted live over the internet. 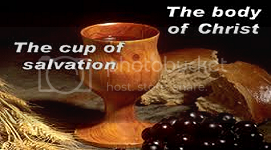 There are now internet church congregations forming and holding services online. We at International Network of Online Evangelists, INOE, do not hold church services, but we reach out to the lost people of the world online with the gospel of Jesus Christ. We can reach any individual on earth if they have at least a cell phone. Praise God for providing such a convenient way to evangelize. There are billions of lost people to be reached and there are approximately three to four billion who do not have access to the internet yet according to the creator of Facebook, Mark Zuckerberg. There is plenty of work for more evangelists, as the bible says: Matthew 9:37-38 Then He said to His disciples, “The harvest truly is plentiful, but the laborers are few. Therefore pray the Lord of the harvest to send out laborers into His harvest.” This could be you! Want to help others come to Christ? 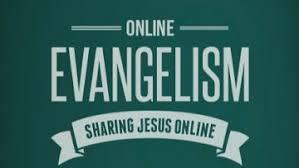 Join INOE and become an online evangelist! Sign up at: https://form.myjotform.com/72933352200548. Holy God we do come praying to You to send workers to help with the great harvest of the lost. There is much work to be done and there is little time. Your Word assures us that the gospel will be preached to the entire world before the end of time comes so bless your workers to be fruitful to Your glory. In Jesus name, amen! Categories: Evangelism | Tags: being saved, body of Christ, cell phone evangelism, Evangelism, evangelism media, internet evangelism, internet religion, online churches, online evangelism, preaching the gospel, saving the lost, streaming sermons, the Church | Permalink.